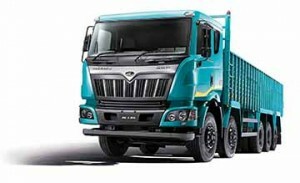 Tata Motors has announced ‘best-in-class’ six-year warranty for the entire range of its tractor-trailers, multi-axle trucks and tippers with a GVW of 16-tonnes and above. Claiming to be the first company in India to introduce a standard driveline warranty of six-years on the entire M&HCV range, the move is expected to help retain customers in the family. Said to be in-line with the market demand for modern, efficient and reliable trucks, the move to offer six-year driveline warranty is complemented with a hike in warranty on the overall vehicle from 24 months to 36 months. To ensure a superior experience, Tata Motors is also offering CV customers initiatives like Tata Alert road side assistance program; Customer Care App. for accessing a host of features including emergency SOS, service booking, maintenance tips, service history, dealer location, GPS trip meter, etc. ; Tata Suraksha annual maintenance contract; Tata Fleetman telematics solutions; Tata Loyalty Program; Tata Prolife after-market product support initiative; Tata Kavach, and Service Onsite.